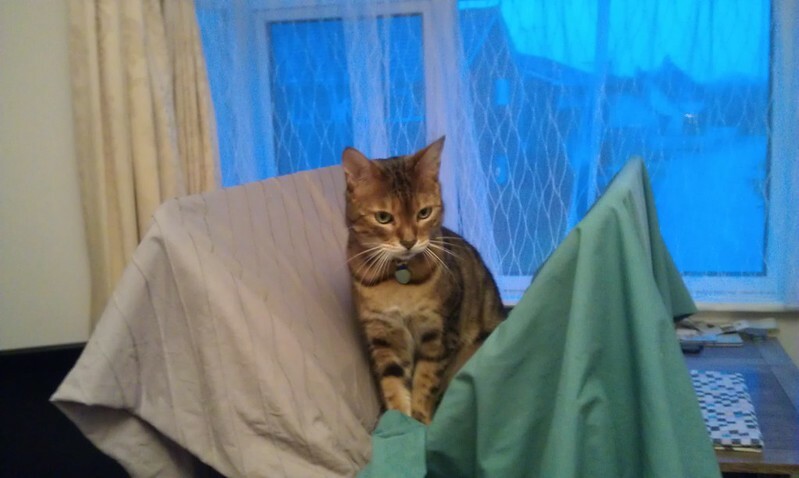 Bengal Cat Forums • View topic - Which household chore does you Bengal enjoy the most? Which household chore does you Bengal enjoy the most? Post subject: Which household chore does you Bengal enjoy the most? Amelie definitely loves mopping floors, all the fun you can have chasing a mop and skidding along wet floors is hard to beat. Post subject: Re: Which household chore does you Bengal enjoy the most? Quasar particularly enjoys pet feeding time. Making the bed for BB and cleaning the counters for Jasper they help with both and make it take ten times longer! It's a toss up between doing the dishes and changing the bed sheets! Definitely the same for my two! They also enjoy helping me out with the dusting. Every time i pull it out im chased around the house by two crazy Bengals who think its a toy I can't even count the amount of dusters i have been through haha! Definitely changing the bed sheets. Although it always ends badly for one of them. 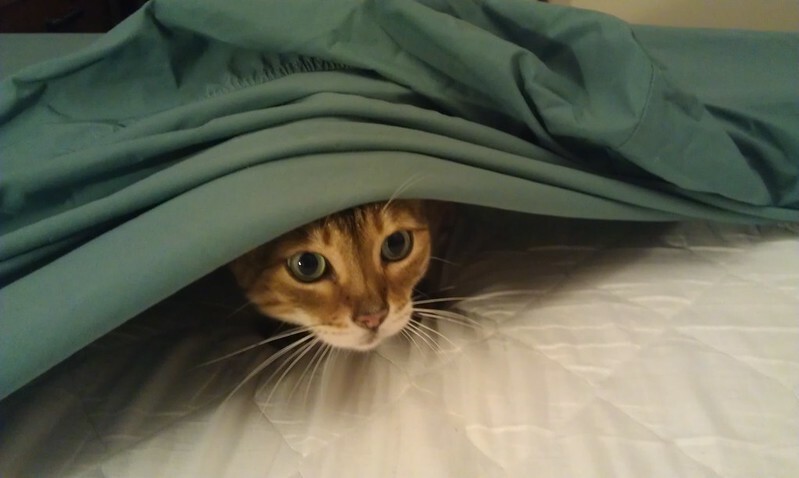 Inevitably one of them will think it's fun to crawl under the sheets, and the other two will take turns pouncing on her. Sweeping the floor or the deck with a broom. Even the sight of a broom gets Jonesy all excited. His siter Ripley could care less! oh yes, another for changing the bed linen. They drive me nuts. changing the bed sheets and floor sweeping/mopping. Makes sweeping and mopping quite challenging! 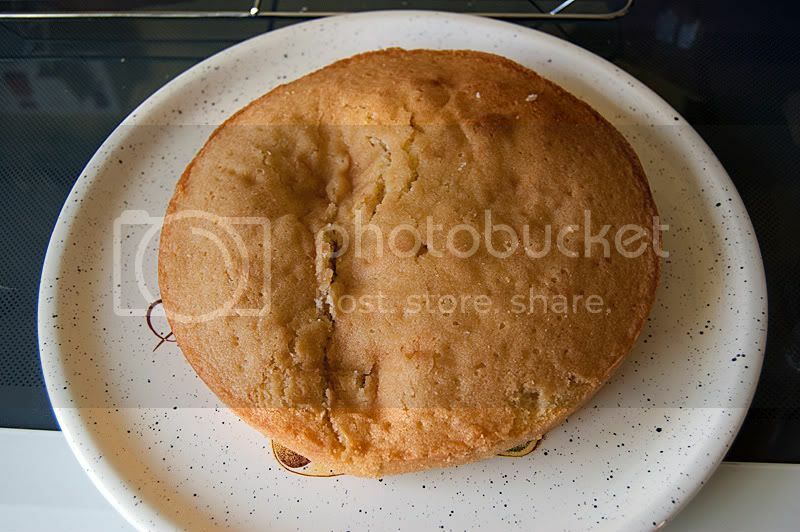 this is a pic of a cake I made for a friends birthday and left to cool overnight (fortunately with a tea towel over it) which Benji decided to dance on! 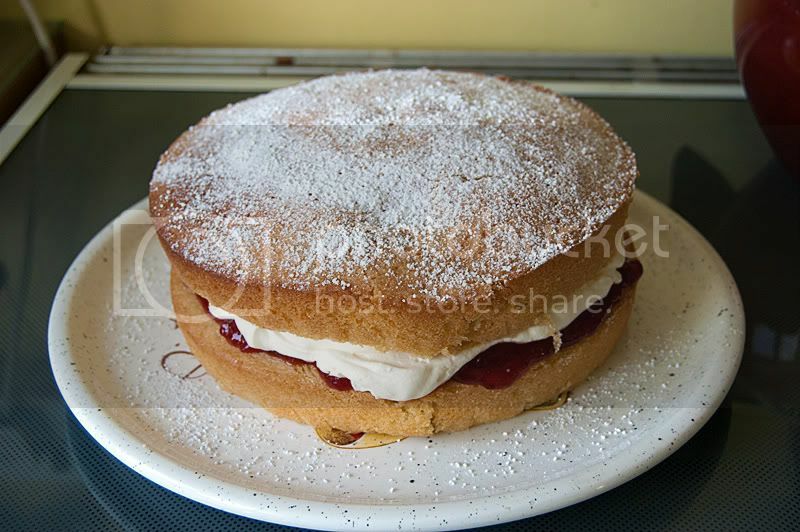 ........I filled it with jam and cream and didn't tell anyone until it had been eaten! You put it down and she gets all excited and tries to help. while ripping it to shreds. Emptying the trash cans... onto the floor. Clearing the counters of any clutter... onto the floor. Dusting the mantel. And the blinds, and the shelves. Emptying the litter box... onto the floor. With enthusiasm. And, sometimes, sweeping it back up. Max also enjoys gardening, cleaning out the fireplace, and cleaning off dishes. To be fair - I shut my cats out of the room that I'm cleaning or hanging washing. They hate the Dyson vacuum I have, and I dont like them walking on any chemicals I use to clean the floor with until I've been able to steam clean it afterwards and even then it has to be dry before i'll let them put their little paw prints all over it!